Pointcast 17.1 – Alfonso Ribeiro Would Never Sandbag it!! Guess what! We’re still giving away free Xbox 360 games! That’s why you should listen to the first five minutes to learn how to win. We’re also giving away a good deal of other swag, like t-shirts and stickers, with the game, so… enter. And, in the midst of trying to give away free stuff we managed to record another Pointcast. In a recurring trend that we are about to break, we kept the Pointcast in the same family as last weeks episode. 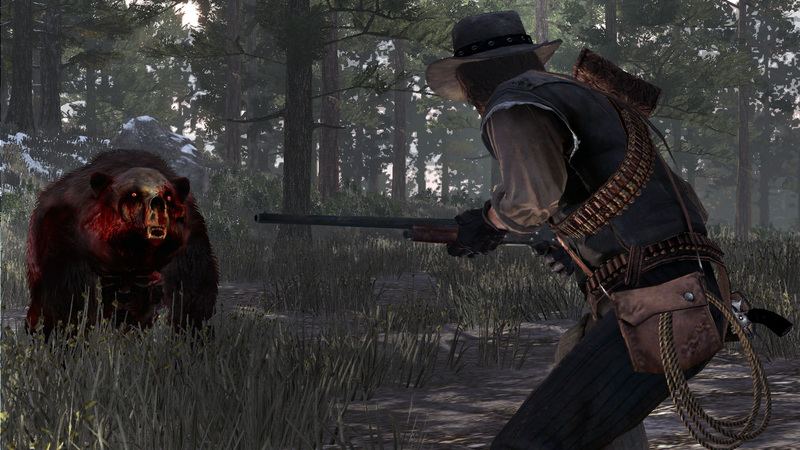 We had a great time talking about Red Dead Redemption’s expansion pack: Undead Nightmare. As much as we loved playing the original game, Undead Nightmare gave us more zombies than we ever asked for; right in the middle of the video game zombie craze. As it stands, you can go pick up the Game of the Year Edition for about $20. Too lazy to look? Well here you go. You’ll be able to kill the the majority of the main characters; ride the Four Horses of the Apocalypse; and, if you pay attention, you’ll learn a little bit about the Aztec culture. Seriously, take this God’s name on for size: Ayauhtéotl; we still don’t know how to pronounce it. It was surprising to see that John Marston didn’t kill Mr. West Dickens or, for that matter, everyone else in the cast because: ZOMBIES!! Did you decide to kill Sasquatch or did you let him live in the lonely existence that you created for him? In case were curious: Carlton Banks is hosting a third rate game show and we’re really sorry that we thought his last name was Harris… we have no excuse. So, hold onto your hats and enjoy Pointcast 17.1 of the Casual Cowards of Gaming.